The short story is that I got stuck in traffic, lost in Mississippi (thanks, Jered) , and I was seriously late. For those that know me, YES I LEFT ON TIME! My friend Lisa gave a raving opinion of Vains of Jenna's thirty minute set. Continue reading "Vains of Jenna, Ratt & Poison: My 80's roots Haven't Grown Out"
and Dave Matthews Band there over the years. 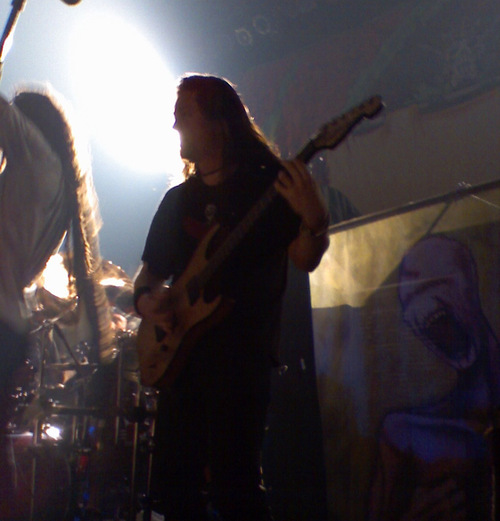 Continue reading "Shadows Fall, New Daisy Theatre, Memphis: 07-02-07"